TripAdvisor puts a nice notch in its belt today with a Bing integration deal that places its results front and center on search results pages. The deal marks the first time that TripAdvisor has lent its metasearch data, gathered from over 125M reviews across 3.1M locations, to a search engine. In conjunction with the new Bing integration, TripAdvisor is also launching a new Windows 8.1 app that allows Hotel Price Comparison search (what it calls its metasearch data), a touch-based interface and dynamic maps that populate rooms, places to see and eat in real time. 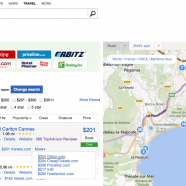 The Bing integration is by far the biggest deal for TripAdvisor here, and fits in with its overall efforts to leverage its metasearch data beyond just its own site. If you’ve seen Bing’s sidebar content before, then you’ll be roughly familiar with how the TripAdvisor data will be presented. If you search for a hotel name and city, for instance, you’re presented with a map of its location and an address and contact details. That’s all fairly standard for Bing. But now, below that, you’ll also get ‘reservations’ and ‘reviews’ sections powered by TripAdvisor. You can blast in dates and smack the ‘find rate’ button to be delivered booking options from the options that TripAdvisor indexes. The metasearch infrastructure, which is used by the new Bing integration, was a ‘major undertaking’ for TripAdvisor, involving integrating over 100 different APIs from travel data sources and many partnership deals. Currently, TripAdvisor data also powers Yahoo Travel’s hotel search, but the Bing deal will be the first to involve both the reviews and metasearch capabilities. TripAdvisor is also building out a platform that allows independent venues like B&B’s, the incredibly long tail of fragmented inventory that doesn’t have its own APIs, to participate in its metasearch program. TripAdvisor VP of global mobile partnerships Nathan Clapton says that the TripAdvisor site hosts 260M unique visitors a month, so it’s already immense. The Windows 8.1 app joins a stable of offerings across iOS and Android as well, which have seen 69M downloads total. And, of course, if you’ve got the TripAdvisor app installed on your Windows 8.1 machine, at the Bing integration will happily bump you over to the app using deep linking carry your searches and booking info over with you. The average person planning a trip, Clapton tells me, typically involves 22 different sites across 10 planning sessions. TripAdvisor’s goal is to slice through those sessions to increase booking rates and decrease the friction for people looking to make a trip. One thing Clapton notes is that far more people are now willing to make travel plans on mobile devices. He says this “just in time” booking has resulted in over 40% of TripAdvisor’s overall traffic coming from mobile ant tablet devices. That makes contextual information that much more important. People are increasingly m​aking bookings on the fly from the cities that they’re traveling to, rather than doing extensive planning, though the stats above indicate there’s still work to be done to make this process smooth. Obviously, this kind of integration riffs on the same themes that Google has been plucking for some time. 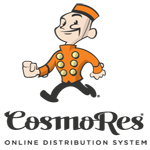 The party line is that if you can deliver more functionality and more relevant results to people right on the search page, why direct them out to third-party sites or on to search links. The converse side of that, of course, is how do you ensure a balanced product that doesn’t unfairly marginalize results from sites that haven’t inked a deal to provide data and review information. In the case of this Bing/TripAdvisor deal, the site is a booking aid, with a lot of user reviews and an incentive to send people out to other sites to make the booking. A future development phase to begin in 2014, according to TripAdvisor CEO Stephen Kaufer, will involve bookings made while staying on TripAdvisor proper. Once that happens, this integration will start to get even more powerful. This is going to be a huge boost for TripAdvisor, as the millions of people searching Bing will now be utilizing its info and relevance engine whether they realize it or not. And every action taken there will beef up TripAdvisor’s data stores, which are some of the biggest in the travel industry. Currently, the metasearch data contains pricing from 350,00 hotels and 260 booking engines, but if the platform plans work out, it could boost that many times.